Note: this post originally appeared on the author’s blog. This is my only warning. At 10 a.m. on Monday morning, I’m going to the campus quad of the University of Chicago. I will be armed with an M-4 carbine and two desert eagles, all fully loaded. I will execute approximately 16 white male students and or staff, which is the same number of time [sic] McDonald was killed. I will then die killing any number of white policeman in the process. This is not a joke. I am to do my part and rid the world of white devils. I expect you do the same. 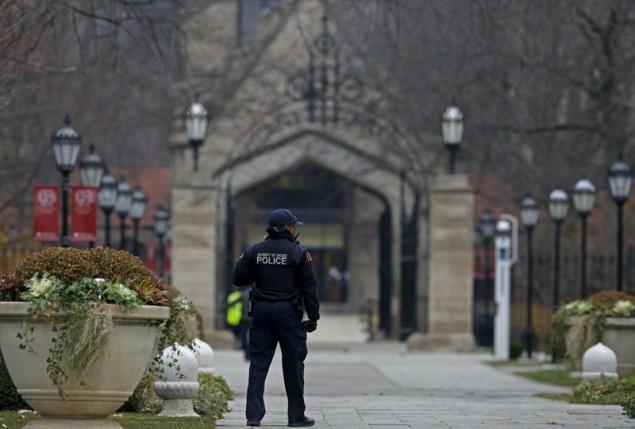 Dean’s violent plan never materialized (and it’s possible he never intended to see it through), but he did catch the attention of the nation and shut down the U. of Chicago’s campus in the week leading up to finals, which is no small feat. When I read Dean’s threat, I was particularly struck by the statement of his overall goal—”to rid the world of white devils.” You see, this language has a history. Originating among twentieth-century black Americans who experienced the corrosive effects of the Jim Crow South and a subtler, but no less sinister, kind of de facto segregation in the urban North, the label of “white devil” gained currency first in the Nation of Islam and then in the Black Power movement of the 1960s. Elijah Muhammad, who led the Nation of Islam (NOI) for more than four decades (1934-75) and was one of the leading voices of black nationalism in the twentieth century, spoke often of whites as devils and prophesied about the eventual destruction of the white devil as part of God’s divine plan. Mixing apocalyptic views and science fiction, he said that in the final days a UFO would appear in the sky and drop bombs on the earth that would completely decimate the white race while sparing black lives. Elijah Muhammad believed the task of killing the white devil was ultimately God’s, and so he didn’t encourage his followers to seek out violence against white people (except in self defense), but he did envision the eventual and complete erasure of white people from the earth. Unless we call one white man, by name, a “devil,” we are not speaking of any individual white man. We are speaking of the collective white man’s historical record. We are speaking of the collective white man’s cruelties, and evils, and greeds, that have seen him act like a devil toward the non-white man. Any intelligent, honest, objective person cannot fail to realize that this white man’s slave trade, and his subsequent devilish actions are directly responsible for not only the presence of this black man in American, but also for the condition in which we find this black man here. You cannot find one black man, I do not care who he is, who has not been personally damaged in some way by the devilish acts of the collective white man! While Malcolm X believed until his death that white society collectively was to be judged for the evils it inflicted upon black Americans, in his later years he actually renounced the NOI’s doctrine of innate white devilry. So that while the devil may not have a name, s/he remained white. For Malcolm X, unlike Martin Luther King, Jr., the use of violence against the white devil remained a live question throughout his life. 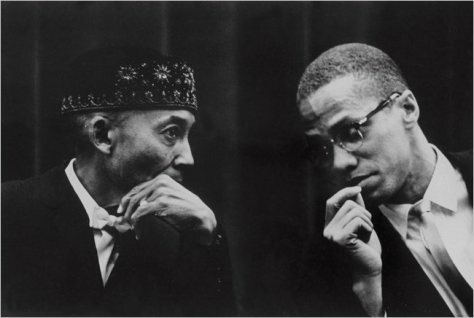 He strongly believed in “the Afro-American’s right to self-defense,” stating that “our people are within their rights to protect themselves by whatever means necessary.” And he said more than once, “when you can bring me a nonviolent racist, bring me a nonviolent segregationist, then I’ll get nonviolent.” However, Malcolm never encouraged or participated in the kind of strategic and aggressive violence Dean promised in his threat. While I certainly don’t want to be taken as supporting Jabari Dean’s intended massacre,* I do think it’s important to recognize that his anger, his frustration, and even his language are rooted in (or at least echo) a history of protest in America that is both politically and religiously inflected. While we rightly condemn Dean’s violent response, the situation to which he was responding—systemic racism, the brutalization of black and brown bodies by police, and white cultural and political hegemony—is real. And we need to talk about it. And that Jabari, an outsider to the U. of Chicago, identified our community specifically as representative of the evils associated with white privilege and racism should alert us to the reality that there is a race problem on our campus. In fact earlier Sunday, before the threat was made public, I listened to one undergraduate, a young African American woman, describe the oppressive racial climate she’s experienced at the U. of Chicago. As a result, she’s had to move dorms, she’s lost numerous friends, and she’s considered transferring on more than one occasion, not to mention the immense emotional and psychological pain she’s suffered. She’s one of many who testify that racism persists here. So while I am thankful with the rest of the community that violence was avoided and that Jabari Dean is in custody, we lie to ourselves if we think the situation has been resolved. No. Whiteness still has currency here. * Recognizing especially that I would’ve been one of his targets (a white, male student) sitting in the most prominent building on the Quad at the time he planned to carry out his retaliation, I want to make it absolutely clear that I don’t support the kind of violence Jabari Dean intended (I’m actually a believer in the power of nonviolent protest). Joel A. Brown is a Ph.D. student at the University of Chicago Divinity School in the Religions in America program. He is also a Disciples Divinity House Scholar at the University of Chicago. An aspiring historian of American religions, Joel spends most of his time in the historiographical subfield of race and religion in twentieth-century America, and his current research investigates the history of race and social Christianity in Chicago from 1890-1940. This entry was posted in Uncategorized and tagged Alex Haley, Black Power movement, Elijah Muhammad, Jabari R. Dean, Jason Van Dyke, Joel A. Brown, Jr., Laquan McDonald, Malcolm X, Martin Luther King, Nation of Islam, Robert Zimmer, University of Chicago, www.worldstarhiphop.com. Bookmark the permalink.